The Mag Float Floating Magnet means you'll never get your hands wet again! Revolutionary new magnet cleaner floats. 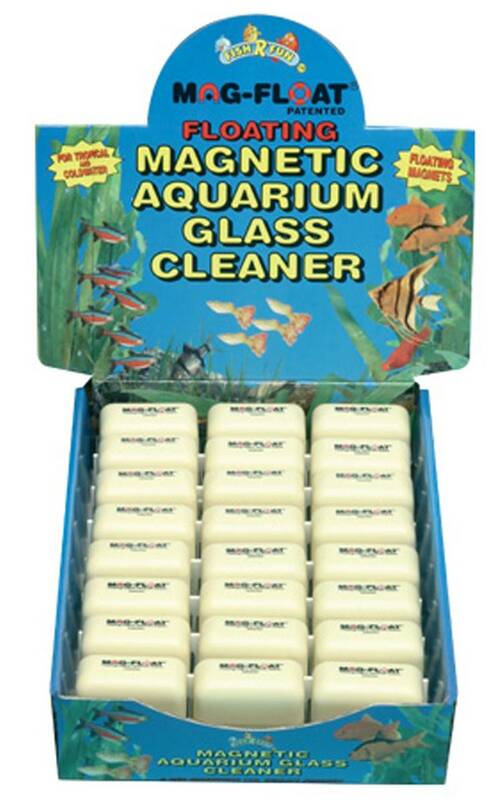 Unlike other magnet cleaners, you don't have to reach to the bottom of the tank to retrieve the cleaner if it separates. No more fighting your magnet cleaner around corners. No more knocking over decorations or coral. Super strong magnet cleaner easily wipes away algae from inside aquarium glass.